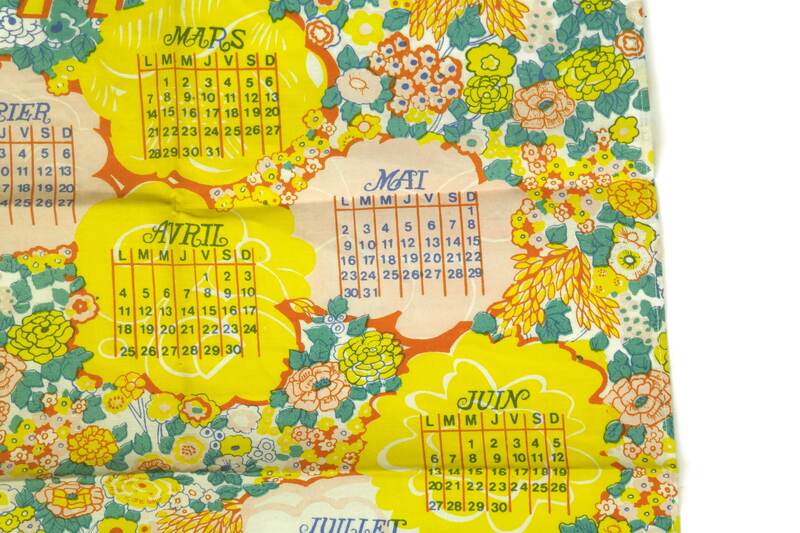 French Vintage Tea Towel Calendar, Pure Linen Dish Cloth, 1970s Floral Design Decor, 1977 Birthday Gift. 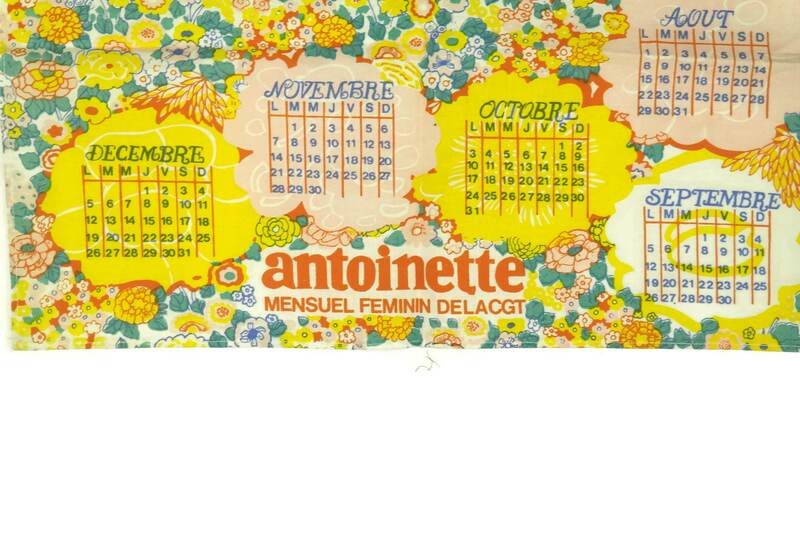 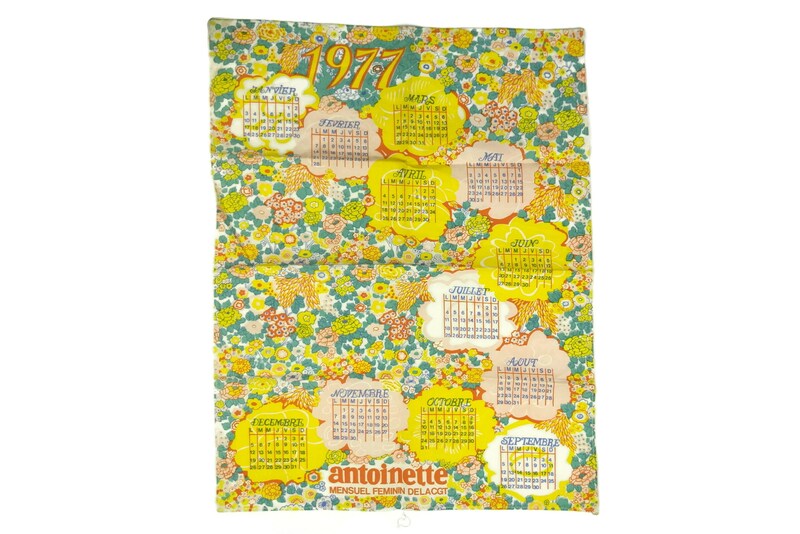 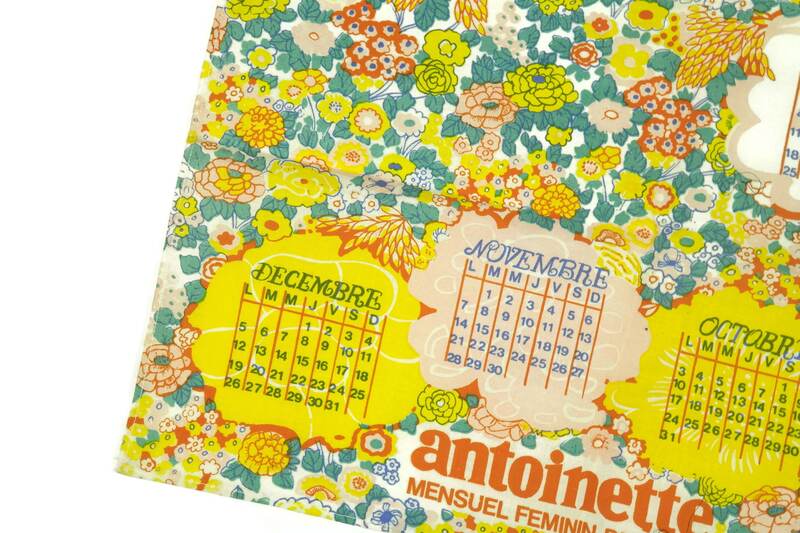 A French vintage tea towel printed with a calendar for 1977, edited by the French monthly magazine Antoinette. 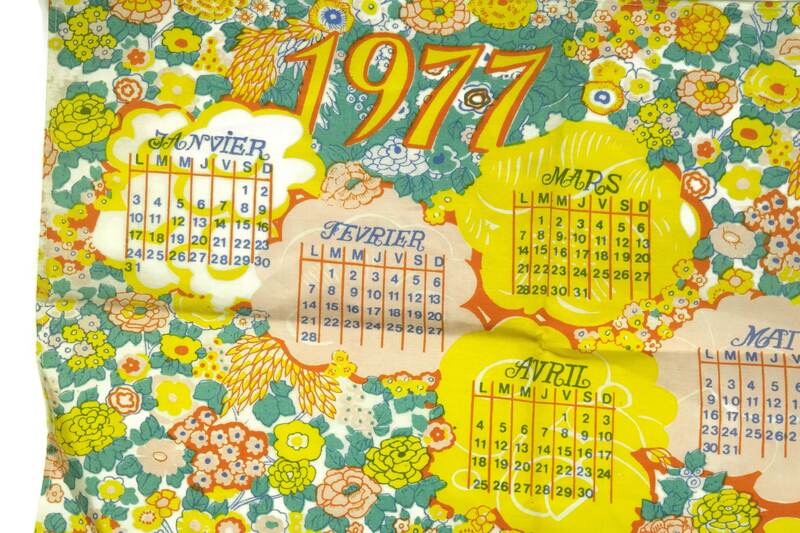 It has been made from pure linen and features a bright floral design typical of the seventies. 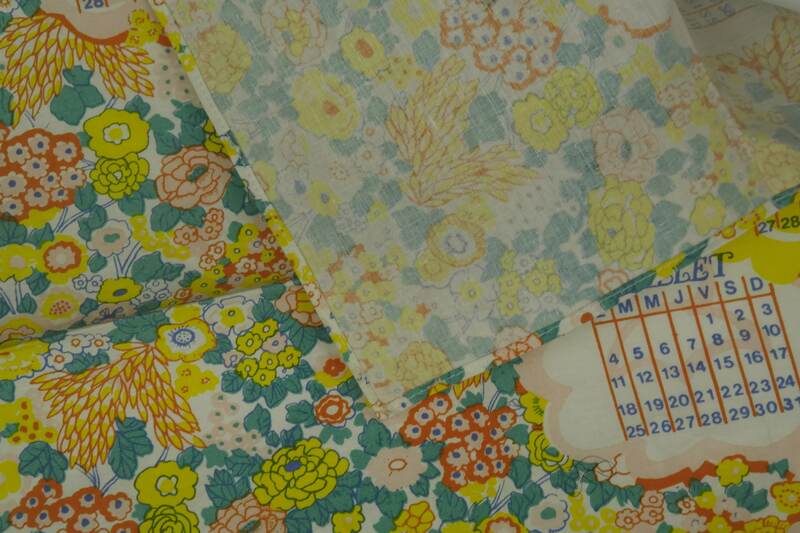 The flowers have been printed in shades of yellow, orange and turquoise. 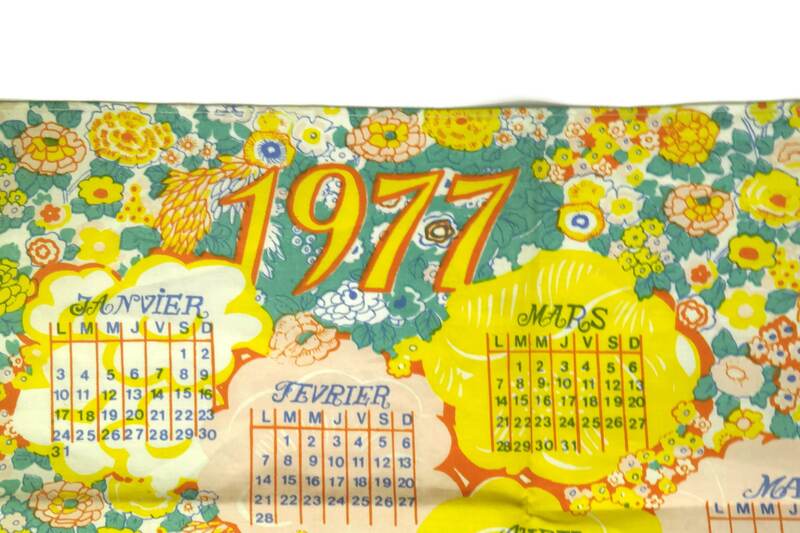 It will make a great 1977 birthday gift. 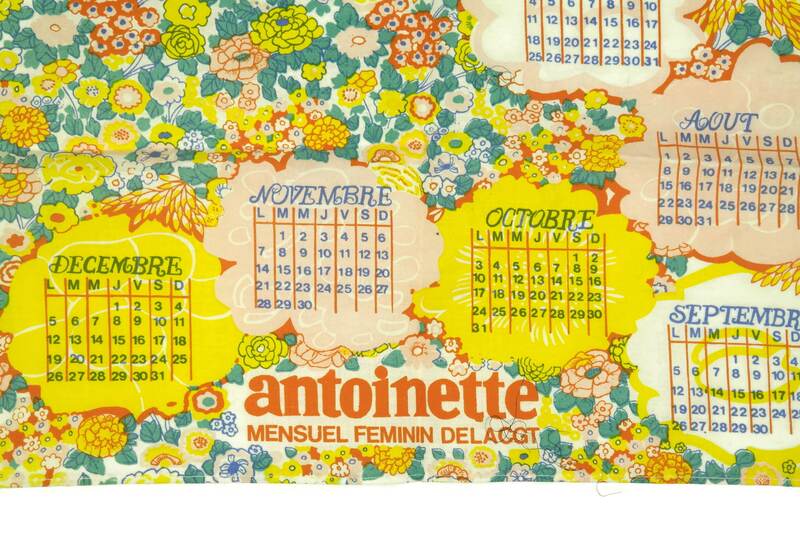 (61 cm x 47 cm). 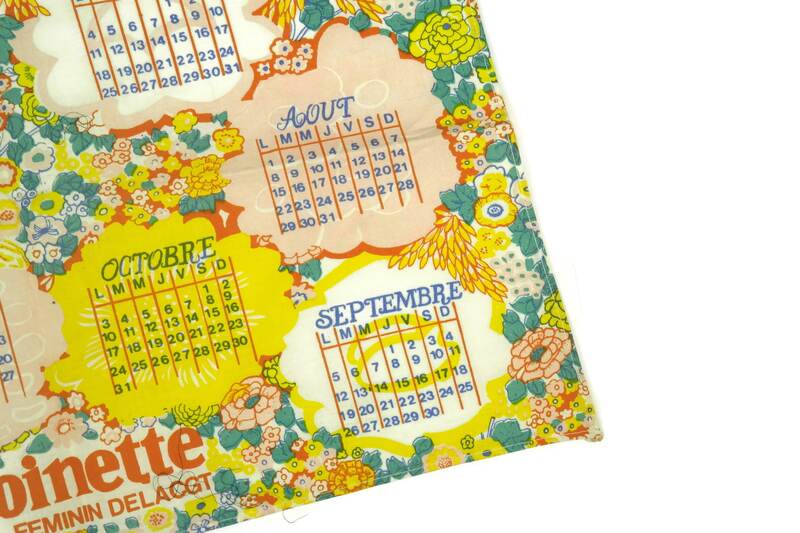 The vintage kitchen tea towel calendar is in very good condition. 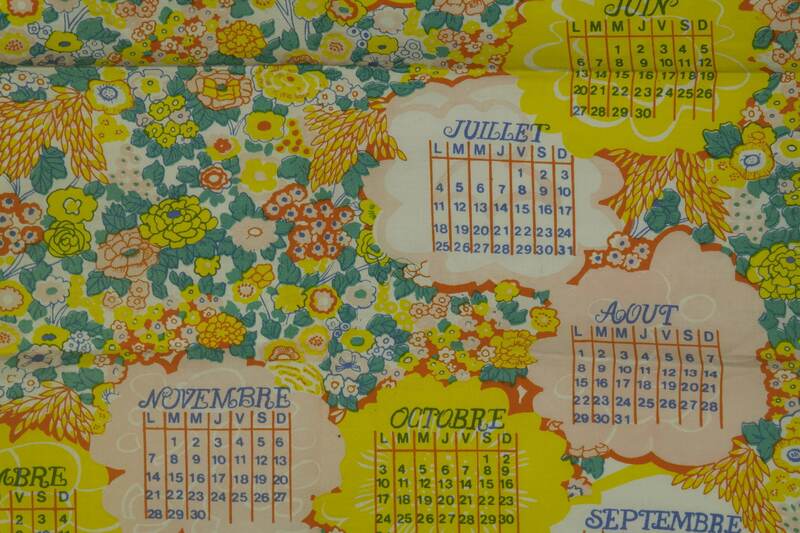 Item ref: French Vintage Tea Towel Calendar, Pure Linen Dish Cloth, 1970s Floral Design Decor, 1977 Birthday Gift.